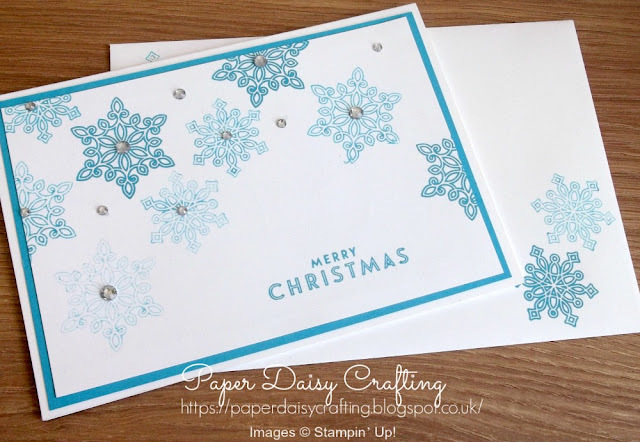 Paper Daisy Crafting: Card making for beginners with Flurry of Wishes from Stampin' Up! 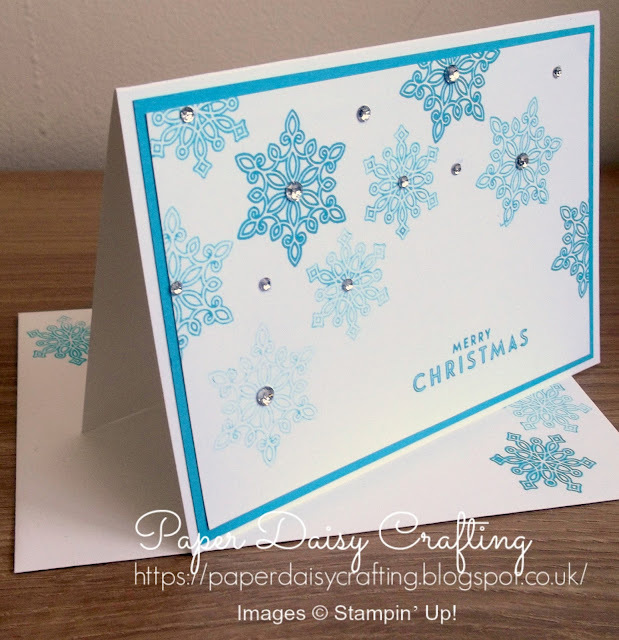 Card making for beginners with Flurry of Wishes from Stampin' Up! 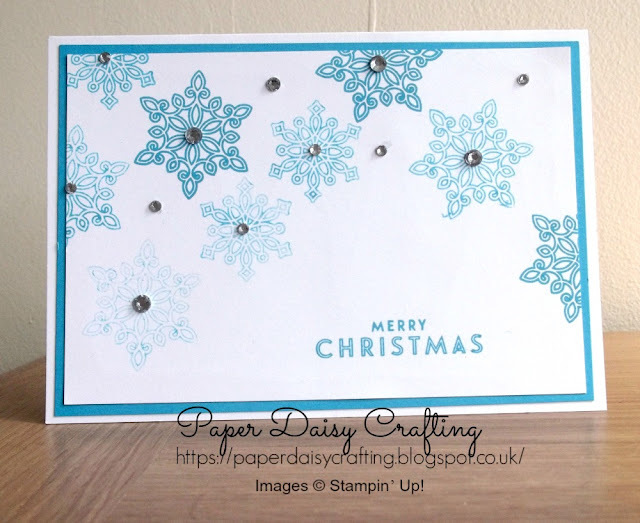 I'm back today to showcase a simple little Christmas card made with the "Flurry of Wishes" stamp set. This is a great card for beginners to try as it uses a very limited amount of resources. Just one stamp pad, one stamp set, two colours of card stock and some rhinestones. The different shades of blue ink are achieved by "stamping off" some of the snowflakes. A simple technique but very effective, especially if you only have a few colours of ink pad. I explain more in the quick little video I have made HERE. As you can see, the card was made a little bit more special by adding some stamping to the envelope. Hope you liked today's project. I have lots more in the pipeline to show you so make sure you sign up on the right of this page, to get notifications by email whenever I add a post.